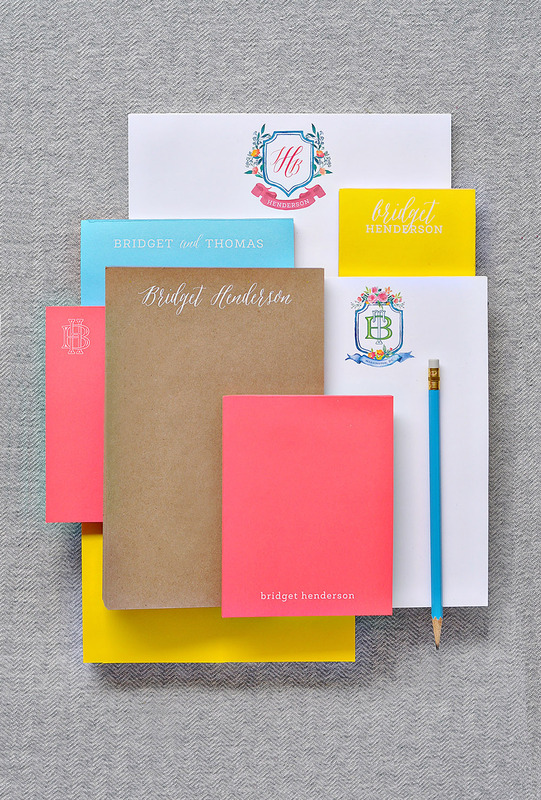 Haute Papier’s Personalized Notepads features Executive Pads, Couture Crests, Multi-Color Motifs,White on Bright Pads, Primary Pads, Pastel Pads, Kraft Pads and Desk Pads in one comprehensive collection. New for 2019, we’ve added the crowd-pleasing Desk Pads! Previously its own collection, you’ll now have access to 24 oversized blotters, which are available in a 26 or 52 sheet pad all in one catalog. Best sellers include notepads featuring flourished heraldry captured in our Couture Crest designs. They’re sure to appeal to your customer’s love for unique monograms. 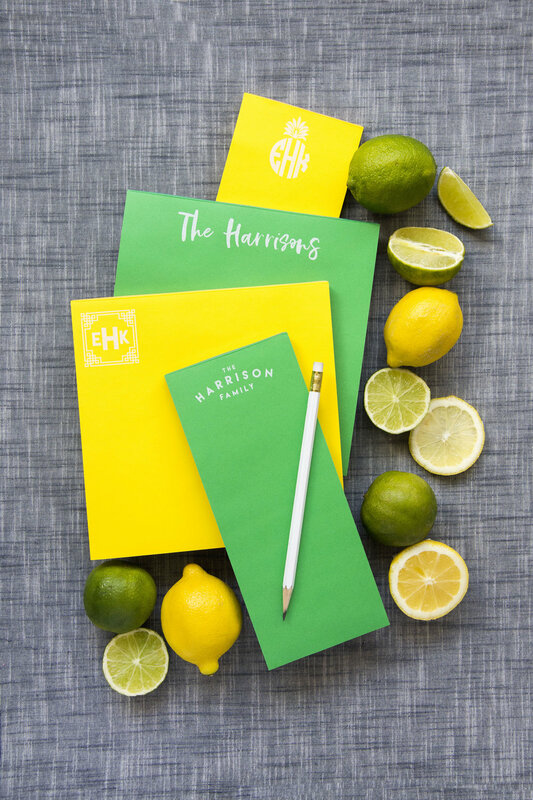 From our classic Executive Pads, printed in colored ink on smooth white stock, to our fun and modern white ink printing on neon, pastel, primary and kraft stock, there is sure to be something for every style and budget. All of our printing is done in-house, which ensures great quality & fast processing at an affordable price!